Apr 19You ever pour Chee-tohs in your cereal bowl instead of Raisin Bran? No? Cool. Me neither. For fifteen years, Rick taught English and history at public and private middle schools in the San Francisco Bay Area and in Texas. While teaching in San Antonio, Saint Mary’s Hall honored him with the school’s first Master Teacher Award. 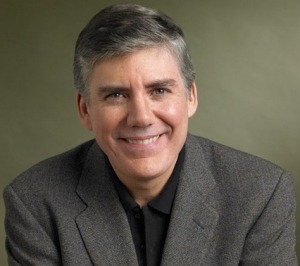 Rick Riordan is the #1 New York Times bestseller author of Percy Jackson & the Olympians, the Kane Chronicles, the Heroes of Olympus, and Magnus Chase & the Gods of Asgard. Visit Disney's ReadRiordan website to discover even more about the Worlds of Rick Riordan. If you are doing a school report and need information about Rick Riordan, this is the best site to use. Remember you need to paraphrase everything! Put it in your own words. Don’t just copy and paste! Attended Alamo Heights High School in San Antonio. Worked as an editor for the school newspaper and won third place in state for UIL feature writing. Also got in trouble for publishing an underground newspaper that made fun of the school, especially the losing football team. (The football team later egged my car). Began college at North Texas State (because I thought I wanted to be a guitar player and they had the best music program), but then transferred to the University of Texas at Austin. Graduated with a double major in English and history. Got certified to teach English and history from UT San Antonio. Did my student teaching in the San Antonio Independent School District. The first book I remember reading for fun was the Lord of the Rings. I probably read it ten times. I also liked Greek and Norse mythology since I was in middle school. I read mostly fantasy and science fiction in high school, then got interested in mysteries when I got to college. My parents were both teachers. My mom was a musician and an artist, too. My dad was a ceramicist (he made stuff out of clay), so I grew up in a very artistic family. I started writing when I was in middle school. The first story I submitted for publication was when I was 13. It wasn’t published. My first published works were two short stories in the UTSA literary magazine. When I was in college, I worked for three years as the music director at a summer camp, Camp Capers. This is where I got the idea for Camp Half-Blood. My first full-time job was teaching middle school in New Braunfels, Texas. After that, my wife and I moved to San Francisco. We lived there for eight years and I taught at Presidio Hill School. Then we had our two sons, Haley and Patrick, and we moved back home to San Antonio. I taught at Saint Mary’s Hall (English and social studies, grades 6-8) for six years, then stopped teaching to become a full-time writer. I taught mythology almost every year that I was a teacher. It was always my favorite thing, and the students always liked it, too! I live with my wife and two sons, Haley and Patrick. One dog Speedy (a Basenji/terrier mix) and three black cats. That’s a hard question for a writer. It’s like asking which of your children is your favorite. I like them all for different reasons. Also hard to answer! Probably Grover, Bes or Tyson because they’re so much fun to write about. I like to read, swim, play guitar, and travel with my family.